Fitted by experts, your data will be safe! All screens are brand new and grade A. Available with 12 months warranty. We only use first class quality parts provide and fitted by experts with Warranty as standard. Our screens are brand NEW Grade A Hi-Gloss products. Here's one we did earlier! 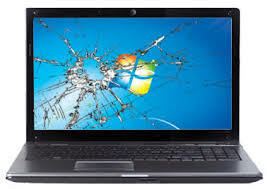 Laptop Screen Repair - LCD repair - Free Estimate - *When screen is in stock.